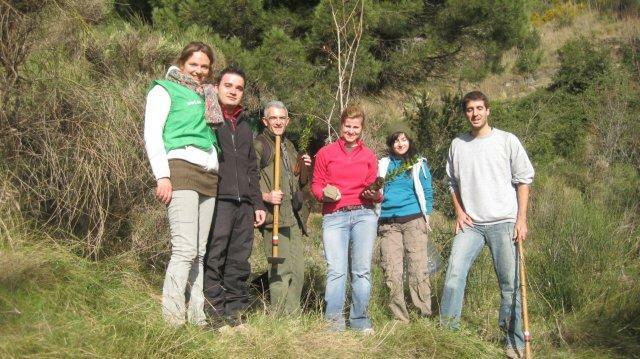 On December 18th, TRANSFER Consultancy together with a group of volunteers from WWF-Adena and Depana, carried out reforestation activities in the Parc Natural de Collserola, close to Barcelona. The purpose of this event was the reforestation of a degraded area, were the soil quality is very poor and rocky. During the day, around 60 seedlings were planted (mainly oaks, but also lentiscus and buckthorn) by using around 30 units of the Waterboxx. 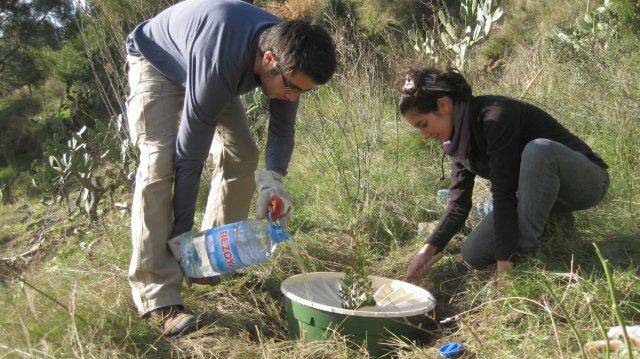 In turn, some plants were planted without the use of the Waterboxx, in order to conduct a study on the feasibility of the Waterboxx in the area. The Parc Natural de Collserola covers a green area of more than 8.000ha and it is situated between the rivers Besòs and Llobregat and bounded by the city of Barcelona. The management and conservation of this natural space is of utmost importance to the entire metropolitan area of Barcelona, as it acts as the main green area of the entire region. Recently, the Parc de Collserola has been upgraded to Natural park and the management sees reforestation as an important practise since forests help the ecosystem by absorbing pollution, rebuilding natural habitats and combating global warming. To learn more about participating in reforestation projects or the Groasis waterboxx, please contact us.